Didn't finish a cartoon today. 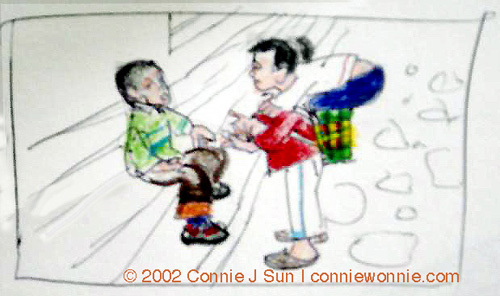 But here are a couple of sketches from my first trip to China in the summer of 2002. Those kids in the alley are probably grown now. 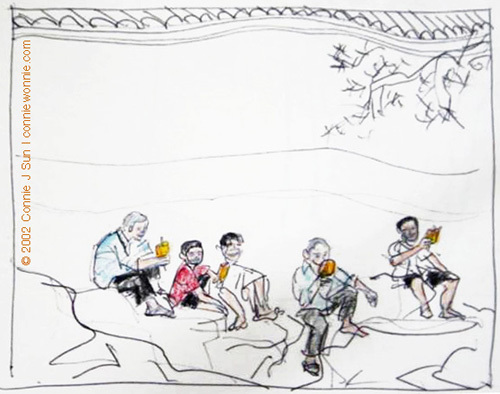 It was a sweltering hot day where we were and I liked to see people taking a popsicle break along the wall.